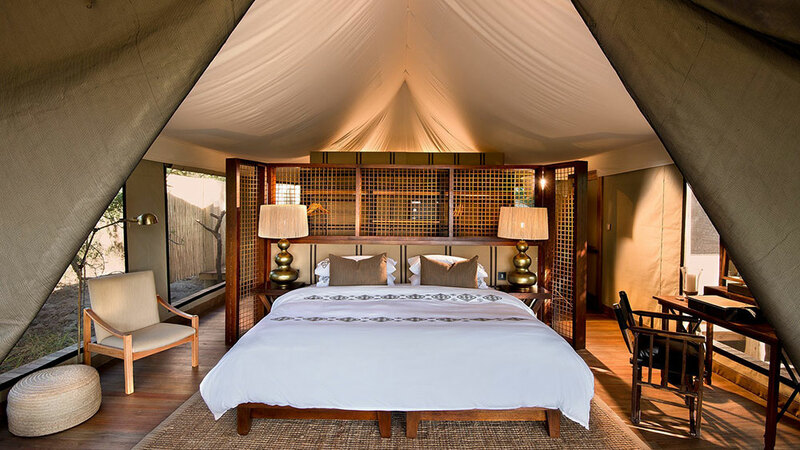 Nxabega Okavango Tented Camp is situated in the Western Okavango Delta, in a 7 000 hectare private concession. 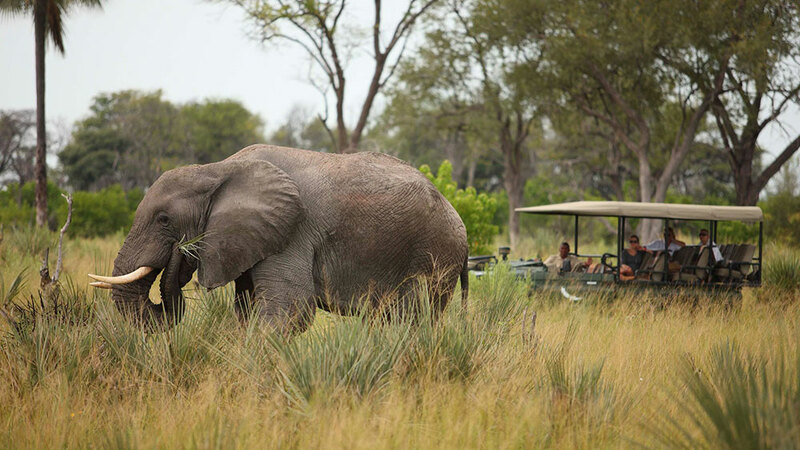 The Camp lies just adjacent to the Moremi Game reserve in a diverse environment of wetlands, deep channels, grassy floodplains and wooded islands rich in wildlife. There are 9 tents raised on wooden structures. 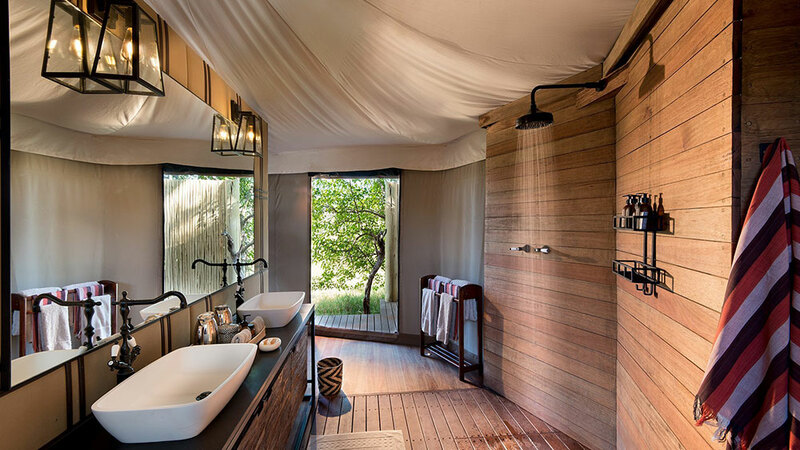 All tents have en-suite showers, fans, and private wooden decks with views out of the Okavango Delta. 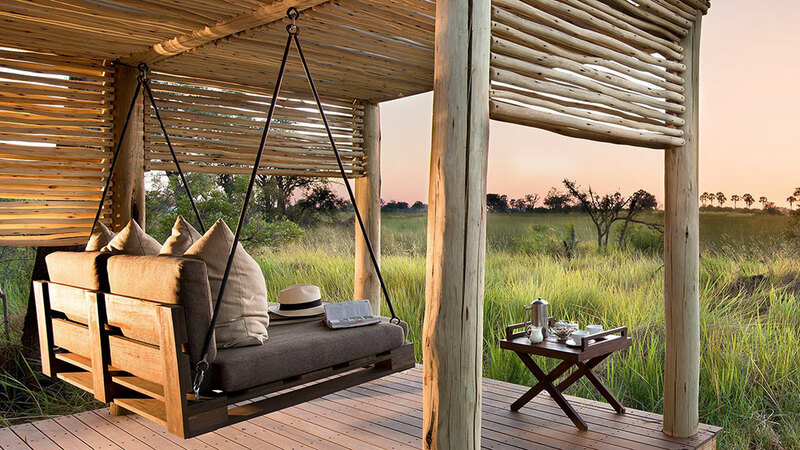 The Okavango Delta is one of Southern Africa’s most well-respected wildlife areas, and the Nxabega Okavango Tented Camp provides guests with an unparalleled safari experience: This is especially true as guests can view the game in a variety of environments. In the middle of the Kalahari Desert, this water-filled jewel provides an oasis in the surrounding harsh environment, attracting large numbers of game. Nxabega is an opulent colonial African tented camp, with personalized service that ensures you will always feel well-looked after. 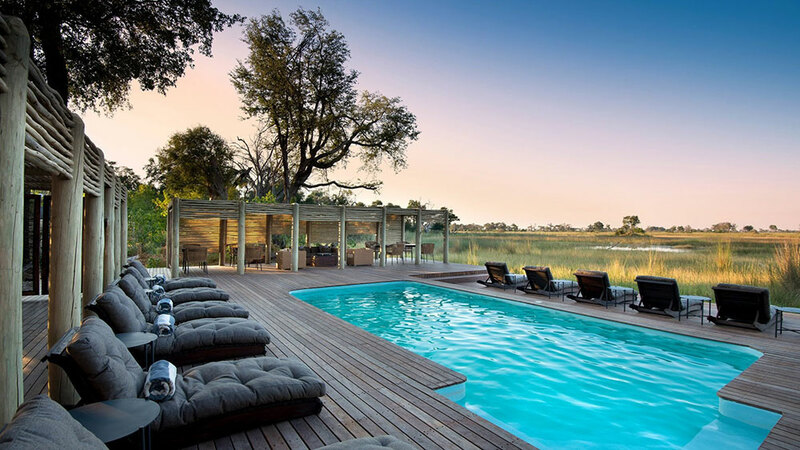 The camp has beautiful views of the surrounding waterways and Okavango Delta. Nxabega is a very small a relaxed lodge. 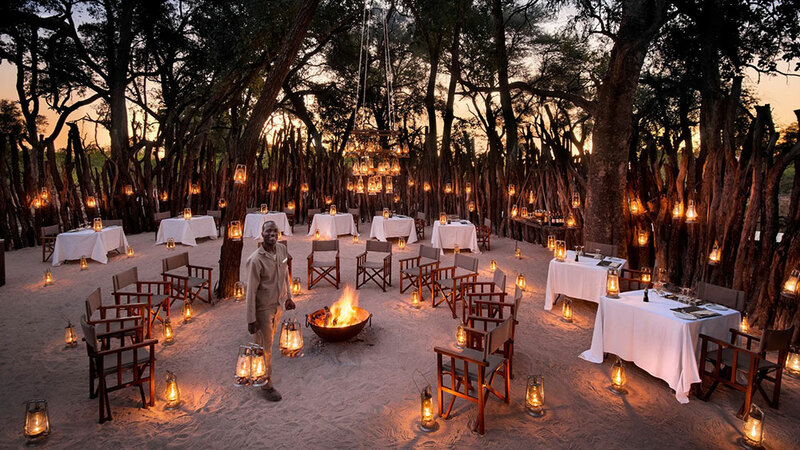 At the center is a common boma where lantern-lit dinners are served, and a very romantic and calm atmosphere is created. A pool is also available for mid-day relaxation time with a view over the delta. There is a range of activities on offer at Nxabega Okavango Tented Camp. 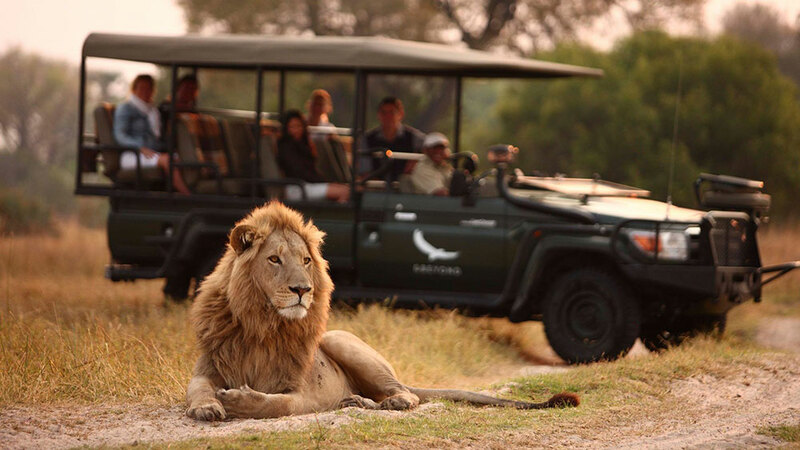 Game drives are very popular, and guided bush walk allow you to get close to nature and to see things you may have otherwise missed. The camp also offers amazing Mokoro Powerboat Cruises, where you can explore the waterways and see elephants, hippos and other animals in ways you have never done before. The Mokoro boat cruises are also very popular for those who enjoy photography. 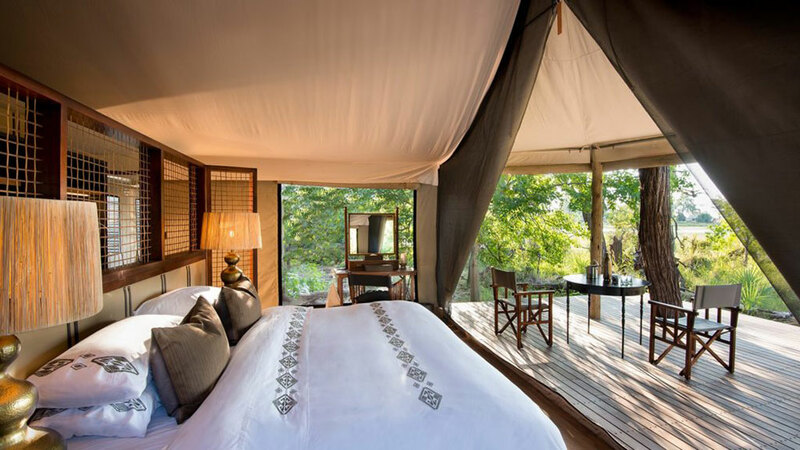 Want to see Nxabega Okavango Tented Camp as part of a trip? Enquire today to let us help build your holiday.